This event will be a qualifier for the REAL FORTNITE CHAMPIONSHIPS, with the Regional Finals being held in June where the winners will go on to compete in the National Championships in the summer. All Events are 10-3 but with the option of a 9am drop off and a 4pm collection. There is a small extra cost for this, just £2.50 to include early drop and late collection. Please select the correct option for this ticket. The Cost of the day is £20.00 per child (or £27.50 to include a T Shirt Skin), there is a sibling discount but must only be used for siblings, friends and other family members will need to be booked at the full ticket price. Discount code for siblings is Sibling1. Children will need a packed lunch and drinks. We will be providing a tuck shop at all events. 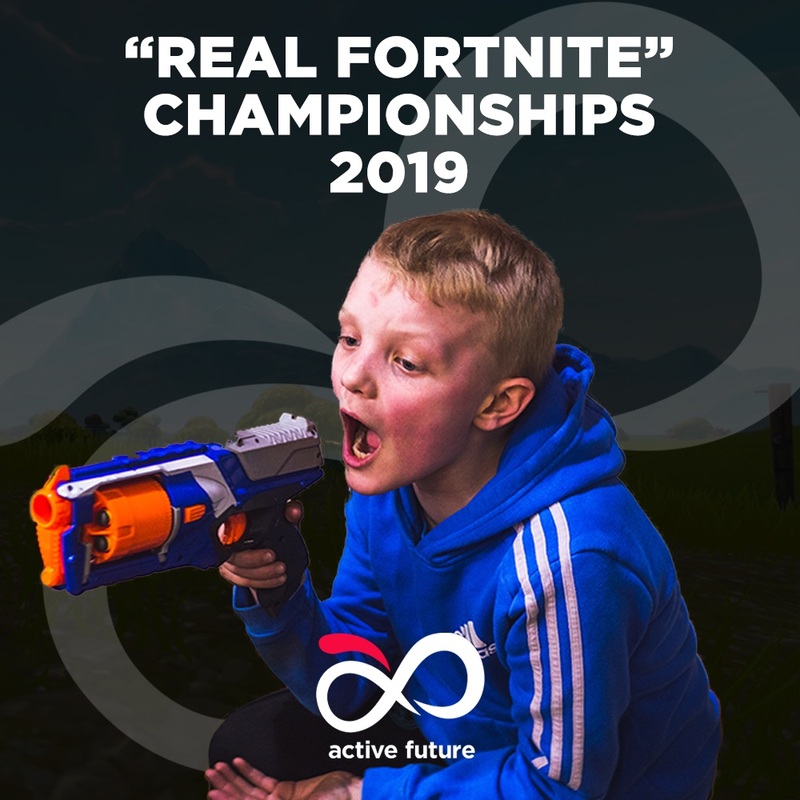 Please note that during these events there is a possibility that children will fall over, bump into one another and get shot with NERF Bullets (we would recommend goggles when taking part). These are inherent risks of taking part. To book your place(s) simply fill out the registration form below. Then 2 days before you will receive an email reminder. Your tickets can be used on your phone and will be needed for check into the event .